Submit your profile below to get free bonus benefits (we won't spam you). Or click here to login if already registered. Free listing (optional) in our online directory of mold remediation and related service providers. Get warranty certificate customized for each client. No registration required to download marketing files that include flyers, logos, and cost saving comparison spreadsheet. UPDATE: The recent bug with the Submit button on this form is now fixed. You are logged in. Update your profile below. Or click tab above to Get Customized Warranty Certificate. Would you like your company and contact info included in our online directory? You can change this setting at a later date. And you can update your directory profile by logging in. MUST read and click all. Fix all standing, leaking or condensating water problems before application. 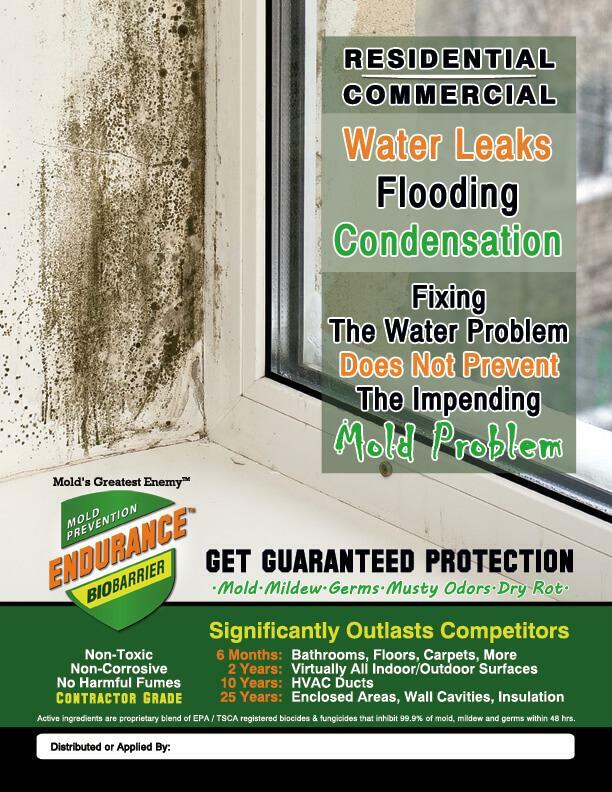 For best results, first remove mold and grime using Endurance BioBarrier Cleaner Prep or a non-bleach product. Apply EBB Mold Prevention Spray using an airless sprayer with fine mist nozzle or fog machine. A fog machine can be used to treat entire rooms or large enclosed areas. EBB Mold Prevention Spray can be applied to damp surfaces if necessary to save time. Lightly coat surfaces with EBB Mold Prevention Spray until slightly damp. Overspraying is not good. Gently dab up excess product that forms into pools. Let air dry for at least 1 hour. Do NOT wipe dry. It is best to wear a dust mask, protective eyewear and latex gloves when applying in large areas. After application, shining a UV black light on surfaces will confirm if properly coated with EBB. Treated surfaces will glow. After application, flush sprayer and nozzle with fresh water. Wash hands. For a period of six months (6) from the date of application on high traffic surfaces such as in kitchens, bathrooms, showers plus carpets, floors and upholstery. Hilltop’s cleaning protocols must be used to validate the warranty. For a period of twenty four months (24) from the date of application on painted and unpainted interior or exterior surfaces including drywall, stucco, wood, concrete, vinyl, metal, glass, canvas, brick and more. For a period of five years (5) from the date of application inside new or properly cleaned HVAC ducts. For a period of twenty five years (25) from the date of application on enclosed interior or exterior surfaces such as wood or metal framing, plywood and OSB for exterior walls, underlayment for floors or sub-floors (wood, cement, or synthetics), sheetrock (both sides coated), woven house wraps and all areas that are to be enclosed and not subject to removal of the coating by chemical or physical means. 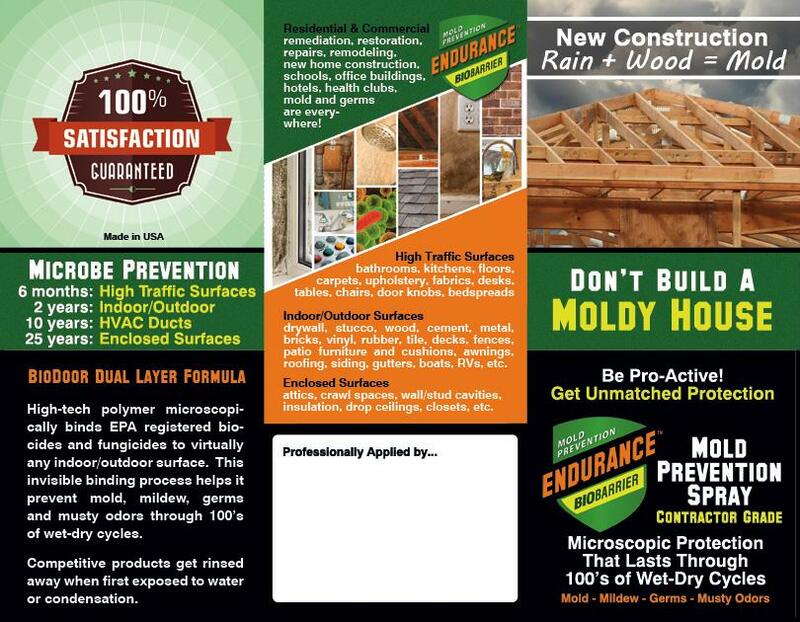 Endurance BioBarrier Mold Prevention Spray must be applied according to label instructions. Before application, all water intrusion issues must be repaired and/or eliminated. All surfaces must be cleaned/remediated following IICRC S520 or equivalent guidelines prior to product application. This warranty covers only manufacturing defects in material or performance of the coating applied by a Hilltop Distribution registered applicator and does not include any failure, defects or damages attributable to, or arising from, or connected with harmful fumes, chemicals, accident, abuse, misuse, neglect, faulty or improper application, fire, earthquakes, hurricanes, tornadoes, cyclones, gales, lightning, hail, accidental or intentional damage, vandalism, Acts of God, and all other circumstances and causes beyond Hilltop Distribution’s control. Additionally, this warranty does not apply if the surfaces are cleaned with harsh or caustic cleaners not approved by Hilltop Distribution. Only pH neutral cleaners (pH 7) may be used. Any claim under this warranty must be submitted in writing promptly after discovery of the defect claimed, describing with reasonable specificity such defect. Claims relating to product defect will be submitted to Hilltop Distribution, who at its own discretion, shall determine whether a claim relating to the product is valid with reference to our performance claims. Any claim under this warranty will be subject to Hilltop Distribution’s determination of validity. If the claim is determined to be valid, any such claim is expressly limited to providing replacement material sufficient to re-coat the affected areas. The original warranty period shall not be extended by any replacement but the remaining warranty time period shall continue in effect and be applicable under the terms and conditions of this warranty to the coated surfaces. Hilltop Distribution reserves the right to discontinue or change manufacturer specifications. The statements contained herein set forth the only express warranties of the above products. Any implied warranties imposed by law, such as implied warranties of merchantability or fitness for a particular purpose, are limited in time to the duration of the above express warranties. 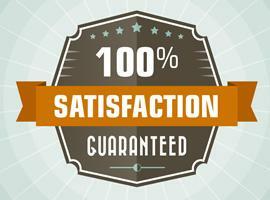 This warranty is transferable with Hilltop Distribution’s approval. Hilltop Distribution shall not be liable to the buyer for incidental or consequential damages for breach of any written or implied warranty. Some states do not allow limitations on how long an implied warranty lasts, and some states do not allow the exclusion or limitation of incidental or consequential damages, so the above limitations may not apply to you. This warranty gives you specific legal rights, and you may have other rights which vary from state to state. CLAIMS PROCEDURE: The coating should first be inspected by the company that sold and/or applied the product to the company within a reasonable time after discovery of a problem to determine if the problem is application or product related. To make a claim under this warranty for a product defect, either the contracting company or the purchasing company should notify Hilltop Distribution either by calling our Corporate Headquarters at 805-322-7144 or sending an email to warranty@ebbusa.net. The claim must identify the distributor that the product was purchased from, product type, application date, and the specific defect. To use this form, please register using the "Profle" tab. If already registered, please login. Distributors and retail sales reps can click here to select and download files designed for them. We’ll put your logo and contact info into any flyer file. Just contact us. 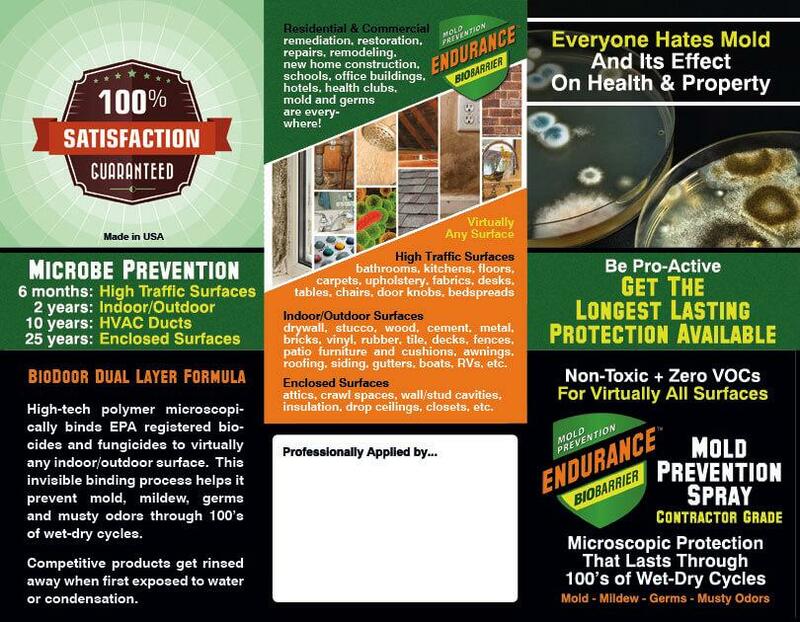 Applicators who promote their use of Endurance BioBarrier Mold Prevention Spray enjoy a huge competitive advantage in winning new business. 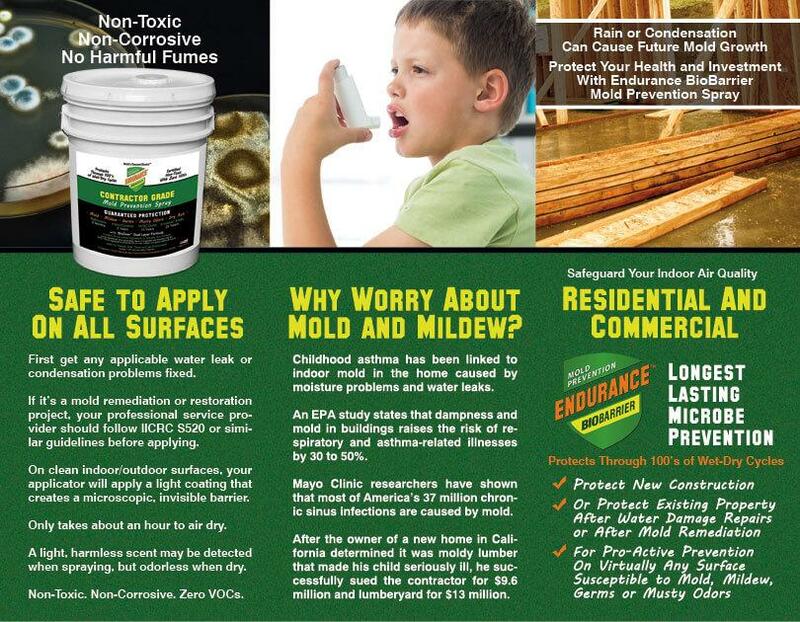 Increase revenue per job by adding the application of our Mold Prevention Spray in your quote for new jobs. Customers want results that last. Customers want the latest technology. 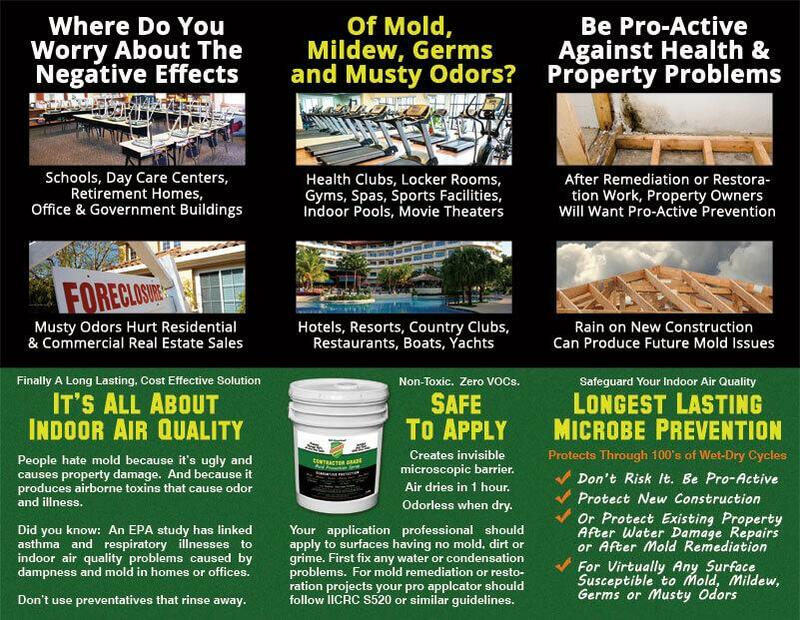 Endurance BioBarrier Mold Prevention Spray offers all of this, and more. Help your business stand out from competitors by promoting your use of Endurance BioBarrier products. Simply download and use one or more of our flyers or brochures. Or create your own by downloading our logo and product images from the Marketing Files webpage. 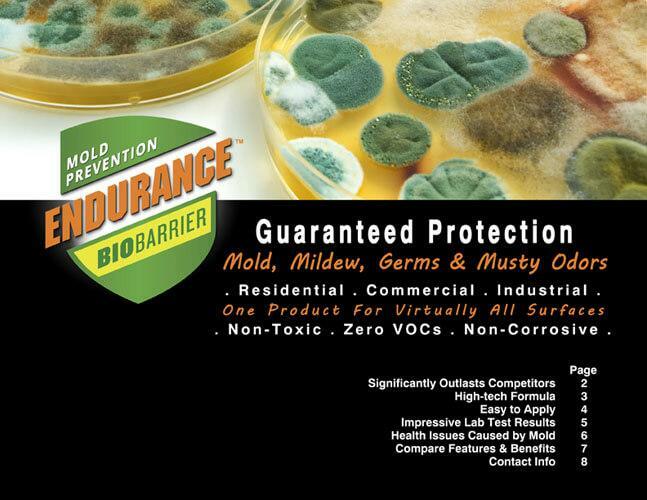 Your clients will be amazed at how much money they can save by using Endurance BioBarrier Mold Prevention Spray to protect against mold, mildew and germs. Download and use this cost comparison spreadsheet to show your client how much they can save by hiring you to apply Endurance BioBarrier Mold Prevention Spray. Use this file to print 4×3 inch Post-it-Notes. 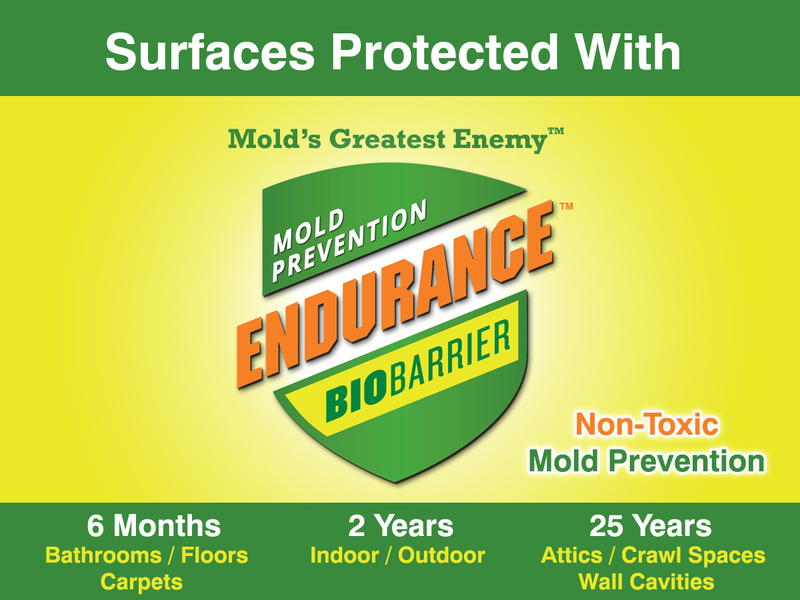 Put them on surfaces you treat with Endurance BioBarrier Mold Prevention Spray. 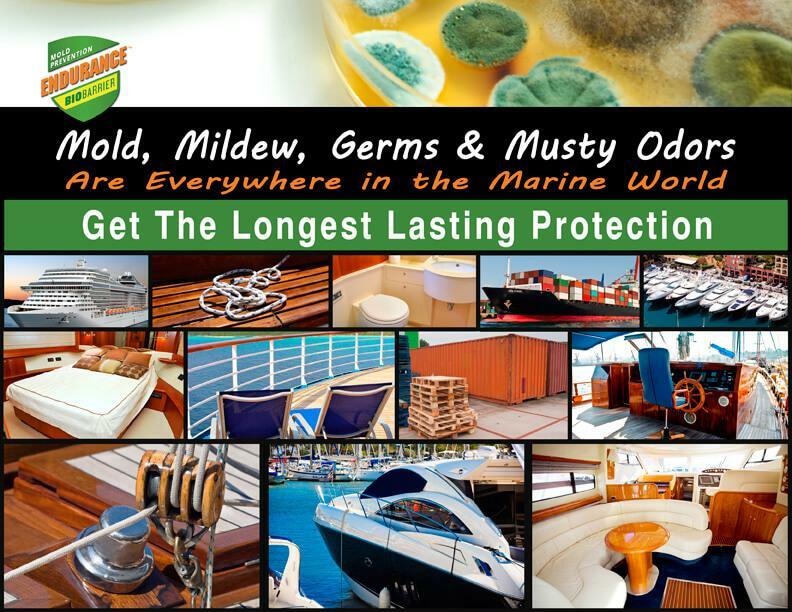 Your clients will be impressed with the reminder of how long they will have guaranteed protection against mold, mildew and germs. They will thank-you. Download our logos for use on your website or in printed promotional materials. Please note that by downloading our logos, you agree not to use it in any way that mis-represents the features, benefits or warranty associated with Endurance BioBarrier products. Please submit form on our Contractor Grade Products page to find distributor near you.